“Too Cute” Peanuts Denim Jacket Size Small Guetta Family Snoopy Charlie – $450. Find it on eBay (affiliate links). Personally, I stay away from collecting clothing. However, if I found this Peanuts Denim Jacket at a reason price, I would buy it even if it wasn’t my size. There’s always hope I could thin down that far. My skinny thoughts aren’t the only flight of fancy here. The price, obviously is a little ridiculous. Is there something I’m missing? Let’s look at the facts. This Peanuts Denim Jacket was made in the early 1990’s or so. There’s no copyright info, so it’s hard to use that to get a better estimate of age. The seller thinks it’s leather, but I’m guessing from the washing instructions it’s probably just vinyl. The tags mention “Guetta Family”. Other than finding more of these “Too Cute” brand denim embroidered items, I’m not able to find much information. No fan sites, fashion articles or Wikipedia page that might prove there’s a solid fan base for their vintage products. I wish I knew more about the company. If their items are all unique or one-of-a-kind, that might change my perspective on the seller’s asking price. Next, the fashion. Personally, I think this Peanuts Denim Jacket is an interesting item from a vintage clothing perspective. The pleather gives it a nice letter jacket look, which was the style back then. Also, the front is an upside down pair of jeans. I find that both funny and fabulous! It’s definitely a female type style, with a crop top short of look to it. This jacket isn’t meant to keep out the cold, just be a fashion statement. How much is a Peanuts Denim Jacket worth? When buying vintage clothing I want to wear, it’s obviously going to be worth more to me if it fits immediately. If I saw this and feel in love, I could see paying $80-120 for it. It’s in great shape and has a unique style. Not the right size, or just doesn’t look good on me, I’d be less inclined to pay such high prices. Vintage Peanuts Denim Jackets go for around $30-80 on the secondary market. While researching this article, I happened upon a Peanuts denim shirt, same company and embroidered design, for $50. A fairly decent price comparatively! More Peanuts Clothing to Explore! 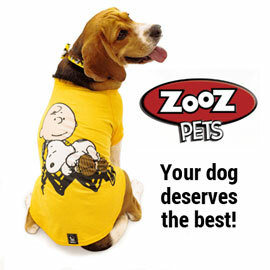 Shop our online store for related Peanuts Accessories and help support this site. Plus, discover more Snoopy Jackets in our online collection gallery.